Hello SixPrizes! I have been playing a ton of the Expanded format in an attempt to get ready for Portland, and I have really been enjoying it. The Standard format is one that I am currently not a fan of, so Expanded has been very refreshing. The consistency and options of each deck make the games a lot more enjoyable, and feel a lot less reliant on each deck’s opening turns. Garbotoxin is one of my favorite cards to play with and it is very strong right now, so I have been trying all sorts of Garbodor decks. This has led me to try out Zoroark/Exeggcute/Garbotoxin, where the Garbotoxin acts as a replacement for Hex Maniac. The deck has been incredibly powerful thus far, so I am going to dedicate this entire article to taking a look at it. Without further ado, lets start the article off with a bit more analysis of the expanded format. The Expanded format has improved substantially after the banning of a few cards that previously dominated the format. You may have picked up on the fact that I loved standard last year, and didn’t care for expanded too much. It is now completely reversed! I love the expanded format now. It is fun and feels skillful, and allows for a variety of decks to be played. On the other side of the coin, I really don’t like the way standard format has shaped up. The lack of disruption allows for little to no comeback potential, which causes a snowball effect to occur during games. The player who goes first is at a huge advantage, and draws are more important than ever. The deck pool does have some variety to it, but most decks are very straight forward and limited in options. Anyways, enough about the qualities of each format. Time to take a look at the new broken Zoroark deck in expanded. This is the deck that I consider the strongest deck in the format, with a very consistent engine and a chance to beat pretty much any deck you might encounter. It is fast and aggressive, and forces immediate responses from the opponent, which is key to beating some of the slower decks in expanded. It is essentially just an updated version of the Zoroark-GX deck of last format, which abused Hex Maniac and Puzzle of Time. Despite these cards being banned, the deck truly hasn’t been hurt very much. It plays some interesting replacements to make up for the missing cards, and still does a ton of damage while disrupting the opponent. It is also a deck that can be adapted to handle whatever the meta is expected to look like, which i’ll talk about more later in the article. This is the optimal Zorua line from what I have found in my testing. The Zorua from Dark Exlorers is the best one because it has a decent attack, Paralyzing Gaze. I play one copy of the BW Zorua for it’s Lunge Attack, which can be useful against Nightmarch. I don’t really think this Zorua line should change unless you expect a ton of Nightmarch, in which case you could play additional copies of the BW Zorua. I started without playing any non-GX Zoroark at all, which allowed me to focus on just taking OHKOs with Riotous Beating. I realized that a non-GX attacker is strong in some situations, and that as long as I kept four Zoroark-GX in the deck, I wouldn’t really be missing out on anything. The Zoroark has been quite useful since I put it in, helping to deal with opposing non-gx attackers and the Buzzwole-GX/Lycanroc-GX deck. This is the key to how this deck functions currently. 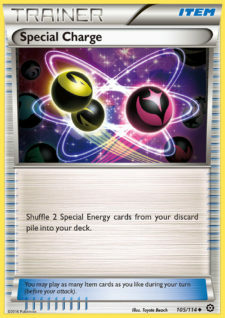 Without this inclusion in the deck, Sudowoodo would be incredibly hard to deal with. In that aspect, think of this as a replacement for Hex Maniac. The Garbodor line does provide more than just an answer to Sudowoodo, though. With Bursting Balloons and Klefki in the deck, you can deny your opponent the use of abilities while still being able to use them yourself. This allows the deck to have a very strong matchup against most Ability-reliant decks. Additionally, Garbotoxin in conjunction with N is one of the strongest combos in the game, allowing for some pretty incredible comebacks to happen. Having a single copy of Klefki in the deck is much better than having a third Bursting Balloon, which is what I had in my original list. Klefki being searchable via Ultra Ball and Level Ball makes it easy to find a tool for Garbodor on a crucial turn. Rescue Stretcher can recover Klefki, which is another upside to having it instead of Bursting Balloon. The inclusion of these tools that discard themselves at the end of the opponent’s turn is incredibly powerful. When used on a Garbodor, you essentially used Hex Maniac, which was such a good card that it got banned. Obviously this method can be navigated around with cards like Field Blower, but it is still strong nonetheless. After how hard I preached the strength of Klefki, you might be wondering why I play Bursting Balloon at all. 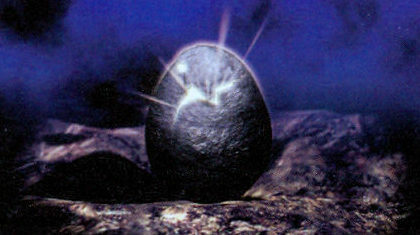 For starters, the affect of Bursting Balloon can be useful in certain situations. When on Garbodor, the Bursting Balloon might stop the opponent from KOing it, or force them to take the sixty damage and set you up for an easy KO. In rare situations where the sixty damage sets up an important KO that you might struggle to take otherwise, you can put the Bursting Balloon on your attacker and force the opponent to deal with it. Despite being very linear, this draw supporter line has been very strong in testing thus far. You take advantage of your massive bench by using Colress to draw a ton of cards every turn, then follow it up with a few trades. Drawing so many cards will consistently allow you to take the OHKO on your opponent’s active Pokémon, which is the usual goal of a turn. The N is when you have what you need and just want to limit the opponent’s options, or when you’re far behind and need your opponent to have a weak turn. VS Seeker and Trade makes playing such a low supporter count totally fine, I haven’t had any issues with running out of supporters or struggling to find them. These are really only in the deck for one reason, but you’ll be able to use them on random tools that you encounter. 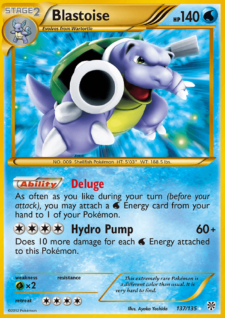 With Garbodor being one one of the strongest Pokémon in the format, it is key to play tool removal cards. This is especially true in this deck, where you might need to remove a tool off of your own Garbodor to use crucial abilities like Trade. Even with the option of using Dowsing Machine to reuse Field Blower, I sometimes feel like I want a third copy. I will be testing that out and seeing how it goes, but it might just depend on the amount of Garbodor decks I expect to play against. I look at these as consistency cards. They allow you to thin your deck, remove useless cards, and access stuff you need. You will generally discard two to three Exgeccute with your first Battle Compressor, which allows you to start using Ultra Balls for free and advance your setup. However, if you are left with a VS Seeker and Battle Compressor, but no supporter, you can discard a Colress with the compressor and then grab it with VS Seeker. The same thing can be done in combination with cards like Rescue Stretcher and Dowsing Machine. These cards used to be played minimally in Zoroark decks, with the average list maybe playing one Rescue Stretcher. Special Charge was used minimally, and the Ace-Spec of choice in this style of deck was Computer Search. Everything has changed because of the Puzzle of Time ban, which creates a strong need for recovery cards. Dowsing Machine allows for the reuse of one of the other recovery cards, or something like a VS Seeker or Field Blower in games where you don’t need more recovery. This might seem like an odd pair of search cards, but this was the best split in the past, and it is still the best now. Level Ball allows for easy access to a lot of your important basics, such as Zorua and Exeggcute. It is a great card to find in the early game, but becomes less valuable as the game progresses. Pokémon Communication is a fantastic Pokémon search card in this deck because you can always Propogate an Exeggcute if you fail to find a Pokémon to shuffle in. It is only somewhat inconvenient at the start of the game when you might not have a Pokémon you want to shuffle in, or an Exgeggcute in the discard pile. This would have to replace the Zoroark BLW, which is the current non-gx attacker in the deck. The Zoroark BLW has been great in testing so far, but I could see the Zoroark BKT being a very good tech too. I plan to try out the Zoroark BKT some more and see which I like better. Mind Jack has the potential to take KOs out of nowhere, while the BLW Zoroark is more dependent on what attacker the opponent is using. I have only played a couple games against Night March so far, but I am getting the feeling that the matchup is slightly unfavored with my current list. Without Seismitoad-EX in the deck, you are reliant on Garbotoxin when it comes to disrupting the opponent or slowing them down. Seismitoad-EX can be used on the first turn to start preventing your opponent from playing crucial trainers such as Battle Compressor to advance their setup. In combination with Seismitoad-EX, including a Karen in this deck would make the Night March matchup very easy, but I would only go to such lengths if I expected Night March to be the most popular deck in the room. Another option to help counter Night March, and in my opinion the better way to counter it, is Oricorio. Oricorio acts as an incredible non-GX attacker, and can usually take multiple prizes with just one or two attacks. The Oricorio would be very helpful against Buzzwole-GX/Lycanroc-GX too, and that matchup already feels slight favored as is. One thing to note is that the Zoroark BW is almost completely useless in this matchup, while the Zoroark BKT would bring a lot of value to the table here. Pokémon Ranger is a very situational card, but it will payoff in spades when it is used. It would only be in the deck for a few different attacks, Shadow Stitching, Chaos Wheel, and Quaking Punch. Shadow Stitching and Quaking Punch are attacks that are hard to deal with for this deck, but still manageable. The Pokémon Ranger would make dealing with them a whole lot easier though. Chaos Wheel, however, is almost always going to result in a loss if it is even used once against you, and it isn’t easy to prevent. This tech is not one that I will be testing any further because I know exactly how it works and what it is for, I just need to decide if i’ll be playing against enough of these threatening attackers to make it worth it. 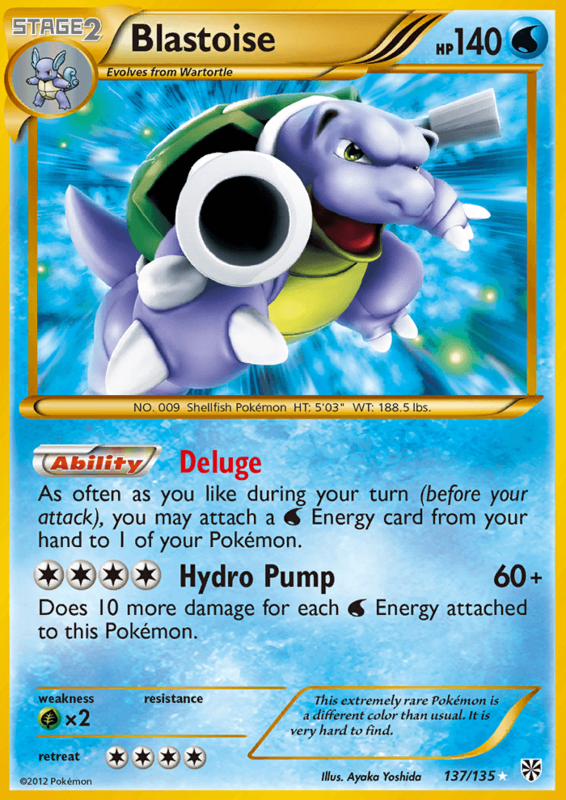 While I am not a huge fan of the play style of decks like Archie’s Blastoise, these are five of the decks that I see getting the most hype. I expect to play against them, and unless something changes, I expect these to be four of the most popular decks at the event. I have tested against all of them, and they will definitely remain in my testing regimen heading into Portland. When I discuss these matchups, I am going to be basing my opinion on the current list. I already talked about a few techs that can change some of your matchups, so don’t forget about that section. This is a deck that saw a lot of success at the last expanded Regional Championship, with Xander Pero being crowned the winner of Roanoke. Since then, Buzzwole has been labeled as a force to be reckoned with. It might seem like a bad matchup, but I have found it to be slightly favorable. Being able to OHKO any Pokémon in their deck is a very good way of making up for the weakness factor. The Zoroark BW will put in a ton of work in this matchup, acting as a fantastic answer to Zoroark-GX and Lycanroc-GX. Garbodor is the key to this matchup honestly, and is why this matchup has improved so much since Roanoke. Previously, you were forced to play Hex Maniac in order to take a KO under Sudowoodo. Now you can use Colress to draw a ton of cards, and just put a tool on Garbodor to shut off Sudowoodo. This has been a historically good matchup for Zoroark, but is actually not as strong as it once was. I would say the matchup is close to even. Trevenant is weak to Zoroark, which makes taking KOs a piece of cake. However, it is hard to keep attacking due to energy removal cards such as Enhanced Hammer and Eneporter. Your goal is to reverse this situation on the opponent, by preventing them from attacking by simply KOing their attackers. You can also disrupt them with counter stadiums and N, which make it harder for the opponent to consecutively Silent Fear. Even if you aren’t attacking, you are doing great if the opponent is also not attacking. These seemingly useless turns give you plenty of time to find Special Charge and Guzma, two key cards in the matchup. Garbodor is really only useful in certain situations, and requires you to either break trainer lock with Guzma, or get a tool on Trubbish before you are trainer locked. Like I said earlier in the article, I believe this matchup to be slightly unfavored. The lack of a Night March tech is the main reason why you aren’t heavily favored, it is more of an uphill battle when it is a fair fight. You are a GX based deck that aims to do a ton of damage and disrupt the opponent. Doing a ton of damage is irrelevant in this matchup because you will be taking KOs on weak non-GX Pokémon. However, the bit of disruption that this deck offers is how you will attempt to gain an advantage. Garbotoxin can stop the opponent from responding to KOs which is the goal of your disruption. You are essentially aiming to win the prize race by attacking every turn and hoping your opponent does not follow suit. Key cards in this matchup are Shaymin-EX and Bursting Balloon, which is an odd pair of cards to be especially useful. The Bursting Balloon can be used to better your odds in the prize race. You attach it to Zoroark-GX, N them and establish Garbotoxin, and follow things up with a KO. Even if the opponent does find the necessary cards to KO your active, the attacker they use will take sixty damage, which is enough to KO any Night Marcher. Shaymin-EX is a very strong attacker in the matchup if the opponent ever takes a KO with Joltik. You can use Sky Return and promote a non-GX Pokémon which preserves the Double Colorless Energy and makes it harder for the opponent to take a KO on a GX. As you might have been able to predict, this is one of those ability-reliant decks I mentioned earlier. You have a great matchup here, and should hope to play against this deck as much as possible. Unlike some of the other matchups I discuss in this article, this is one that you just have to execute your normal gameplan to win. Just use Zoroark-GX to OHKO one of their GX Pokémon every turn until you win the game. You use Garbotoxtin to deal with Sudowoodo and stop your opponent from mounting a response each turn to keep up in the prize race. Going as face as possible and taking the first KO is an important part of the plan because the matchup is just a prize race that you start favored in off the bat. This is a very tricky matchup to navigate from both sides, truly a skill intensive battle. It is a very close matchup if both players have played it before, I would label it as even. Despite the opponent playing Garbotoxin, this is a matchup where you will also use your Garbotoxin because of Sudowoodo. Garbodor has improved the matchup for this deck quite a bit actually, because you can shut off Sudowoodo for the turn and still use Colress unlike before. The loss of Puzzle of Time is very noticeable in the matchup, forcing you to make good use of Dowsing Machine, Field Blower, and Special Charge. These are key cards for resource management, which is the main way your opponent will beat you. Their goal is to widdle you down and run you out of stuff, and simply run you over with a Garbodor or Drampa. Parallel City, Righteous Edge, and Trashlanche are all very strong mechanics against this deck, which is why the matchup is so tricky to navigate. You need to start taking OHKOs right away, but you also need to manage your item count and keep track of other important resources, such as Double Colorless Energy. That is all for this article everyone! I hope that I have gotten you interested in the new way to play Zoroark/Sky Field. It was the best deck in the last Expanded format, and despite losing a lot of amazing cards, looks like it will continue to be the best. I plan to test a ton more before Portland, and I hope to come up with a deck that can handle the entire format before then. I expect this deck to be pretty popular, so I will likely make that the starting test for anything I want to try out. I definitely recommend getting some Expanded games in whether you are going to Portland or not, as the format is great and a lot of fun! Anyways, I will be going to all of the upcoming Regional championships, and I am looking forward to the Latin American International Championships in Brazil next month. If you will be at any of them, feel free to come up and say hi! Either way, I wish everyone the best of luck and I hope you enjoyed the article.